AFFILIATION(S): Accredited by the National (CCA) and provincial (OCA) camps associations. BRIEF CAMP DESCRIPTION: Happy campers, happy parents! Family owned and operated. We are one of Canada’s finest international camps for youth ages 6 -17. Join us at Wabikon for a summer you’ll never forget! Established in 1944. Located in magnificent Temagami, ON. Escorted bus transportation. Introductory week available for first time campers. Contact us for references in your area. We look forward to speaking with you! Dance, Theater, Music/Band, Fine Arts/Crafts, Basketball, Football, Baseball, Weightloss, Soccer, Swimming, Tennis, Waterfront/Aquatics, Sailing, Volleyball, Team Sports, Wilderness/Nature, and more. CAMP LOCATION: Located in Temagami Ontario, Camp Wabikon sits on the southern tip of Temagami Island on the beautiful Lake Temagami. 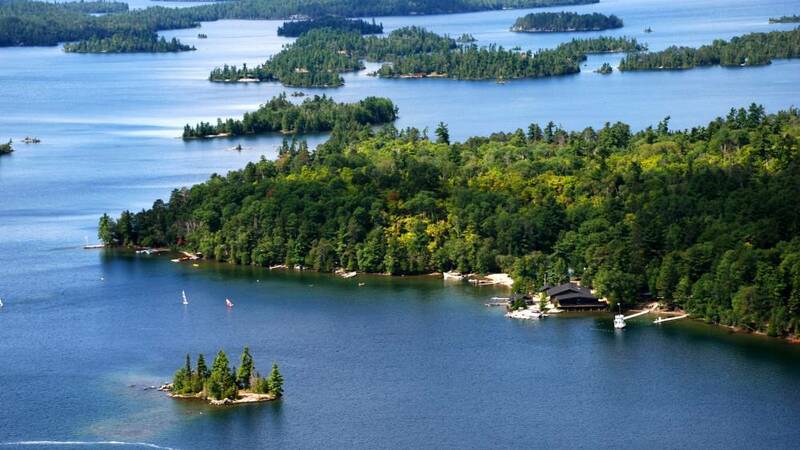 The area is renowned for its crystal clear waters, old growth pine forests and fantastic shoreline dotted by over 1300 islands, making Wabikon without a doubt one of the finest camp locations in the province of Ontario. Watch our video at Our Camp Website Link: www.youtube.com. CAMP FACILITIES: At Wabikon, campers live in large wooden cabins which sleep 8 to 10 campers and 2 staff members. The camp is divided into sections with the girls' cabins on one side of camp and the boys' cabins on the other. Cabins for our younger campers are located near the centre of camp, very close to shower and washroom facilities as well the large Dining and Recreation Hall and the Medical Lodge. Each section has washroom facilities close by which are equipped with electricity, individual shower stalls and flush toilets. CAMP PROGRAM INFO: Wabikon is dedicated to the traditional ideals of personal development, friendship and cooperation. It is the strong belief of the Bernardo family that the camp's cooperative philosophy can best be achieved by limiting the number of campers per session to create a smaller, more intimate environment where each camper can feel like a valued member of the Wabikon family. In addition to Wabikon's full range of daily activities, our program also includes various dramatic and theme based programs mixed in throughout the session. These programs may be afternoon, evening or all day programs and organized as cabin, section or all-camp events. They are a great way to break up the daily routine with some creative, age-appropriate fun and provide an excellent opportunity for teamwork and team play. Each summer, 16/17 year-old youth from around the world travel to Temagami for Camp Wabikon's excellent Counsellor-in-Training, or 'C.I.T.' Leadership program. The six week program is carefully planned and designed to lead its participants through an educational, challenging, exciting and fun adventure that will help them bridge the gap from Camper to Staff and help prepare them for their future, both within and outside of the camping world. OTHER CAMP INFO: More information can be found on our website at: Our Camp Website Link: wabikon.com. Go to The Best Canada Summer Camps Directory to Find More Top Summer Camps Near Temagami, Canada.